When it comes to your projects, the content management system you are using is essential to an efficient and personalized approach to tackling your goals. A content management system is simply an outlet for website development or content storage, in layman’s terms. There are an almost unlimited amount of these programs to work with for your business, blog, or website – all of which have various pros and cons. A good strategy for choosing your CMS is to compare major CMS development programs to find which one is right for you and the job you are setting out to accomplish. Though there are a myriad of content management systems to utilize for your web design, there are a few that stand out as major CMS programs. 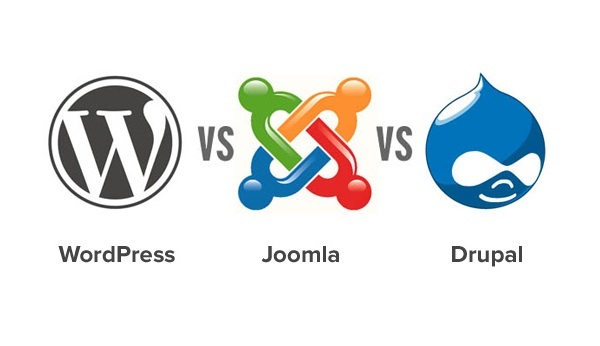 Many experts agree that the most popular development programs are CMS builders like Joomla, Drupal, and of course WordPress. These are the systems that most use when starting their website projects. It can often be difficult to choose which CMS is right for you, considering factors such as your level of expertise on computer systems, the amount of content you need on your website, what users will be using the website, what languages it needs to contain, as well as many other possibilities. Some content development systems are easier than others, and most agree that WordPress is the most simplistic and convenient for less experienced website producers or people who need a quick and easy way to get their ideas onto a web page. Due to its quick install time, and compatibility with most computer systems, WordPress stands out in the programming world as by far the most used CMS. For your website or project, this will probably be the first CMS you should consider using. The software is extremely well developed, and anyone can use it. With hundreds of websites dedicated to helping WordPress users effectively use the system, it is almost impossible to not find the help you need for any question you have concerning formatting or programming. This CMS is a general type of system that can be used with anything from small scale school website projects to online businesses. It doesn’t hurt that it is a free program! Of course, you might not find everything your project needs with just WordPress. Another valuable CMS is Joomla, which differs from WordPress in many aspects. More useful for online business or social networking, Joomla is a powerful CMS that is also very straightforward to new or unexperienced CMS users. Its interface is extensive and options are incredible for this system, but it may at times require a higher level of technical experience with HTML coding or website administration. However, it finds a balance between technicality and user friendliness. It is also free for download, but many extensions might take a buck or two to use and operate in your webpage. The most technical and perhaps the most difficult interface for new users is the content management system Drupal, which is the second most widely used of all CMS programs. It is useful to have a more intermediate understanding for coding and HTML for development of a Drupal website. However, being the most technically capable CMS, it is the most powerful tool you can use in starting up your website project. Heavily customizable and utilized by many major corporations, Drupal can be an incredible asset if you are able to effectively utilize it. To see more about WordPress plugins for businesses see our blog post. © Copyright Smart Website Creations 2017.